The Alliance for Change team leader and prime Mininster nominee, Patrick Pruaitch is confident of securing the numbers on the floor of Parliament. The AFC team which is led by the National Alliance Party and backed by Pangu Party led by Sam Basil and PNG Party led by Belden Namah, Allan Marat and Independents led by Sir Mekere Morauta and Robert Agarobe has now a total of 47 MP’s going into Parliament today. Mr Pruaitch was yesterday endorsed by the Alliance for Change grouping to be the camp’s nominee for Prime Minister. The Alliance group in a dinner at the Rapopo Plantation Resort had all 46 MPs-elect in place who were given the opportunity to introduce themselves and their Party affiliations. The group number has gone up to 47 with the declaration of the NA candidate in Usino Bundi. The biggest surprise was the Western Province team consisting Governor-elect Toboi Awi Yoto of United Resource Party and James Donald of Peoples Progress Party representing North Fly Open who publicly denounced media reports that they were ‘hijacked’ by Belden Namah. 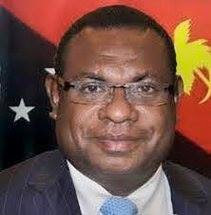 He said the people did not want them to go to Alotau and asked the first place to leave and when Namah arrived, the people released them to go to Kokopo. National Alliance Party Leader Patrick Pruaitch who said will muster the numbers before Parliament sitting told the gathering that the election has been a fuss that has caused destruction and deaths and will immediately be reviewed when this government gets into place. He said there has been talks about economic growth but there is no real evidence on the ground to prove that with the high unemployment rate. Pruaitch also talked about bringing in traditional development partners to assist the new government set MV PNG on a course to avoid the ‘eye of the storm’.